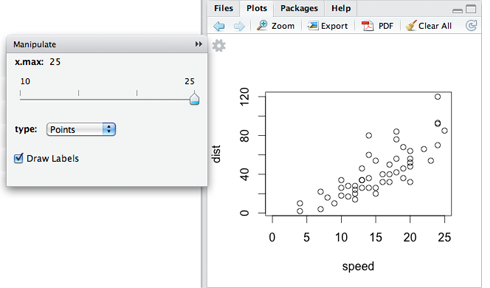 RStudio Beta 2 (v0.93) is available for download today. We’ve gotten incredibly helpful input from the R community and this release reflects a lot of that feedback. The layout of panes and tabs is now configurable (enabling side-by-side source and console view, among others). Support for a variety of editing themes, including TextMate, Eclipse, and others. RStudio now works with versions of R installed from source (either via make install or packaged by MacPorts, Homebrew, etc.). Enhanced support for Unicode and non-ASCII character encodings. Improved working directory management including new options for default behavior, support for shell “open with” context menus, and optional file assocations for common R file types (.RData, .R, .Rnw). Many other small enhancements and bug fixes (see the release notes for full details). We hope you try out the new release and keep talking to us on our support forum about what works, what doesn’t, and what else you’d like RStudio to do.